Using an adaptation of Einstein's general theory of relativity, Poplawski analysed the theoretical motion of particles entering a black hole. He concluded that it was possible for a whole new universe to exist inside every black hole, which could mean that our own universe could be inside a black hole as well. "Maybe the huge black holes at the centre of the Milky Way and other galaxies are bridges to different universes," he told New Scientist. Explaining his theory in the journal Physics Letters B, he said he used the Einstein-Cartan-Kibble-Sciama (ECKS) theory of gravity, in his analysis to account for the angular momentum of particles in a black hole. Doing this it made it possible to calculate a quality of space-time called torsion, a property believed to repel gravity. He says instead of matter reaching infinite density in a black hole called "singularities" in Einstein's theory of relativity – the behaviour of the space-time acts more like a spring being compressed with matter rebounding and expanding continuously. However, according to Dr Poplawski, if we were living in a spinning black hole then the spin would transfer to the space-time inside, meaning the universe would have a preferred direction – something we would be able to measure. Such a preferred direction could be related to the observed imbalance of matter and anti-matter in the universe and could explain the oscillation of neutrinos. 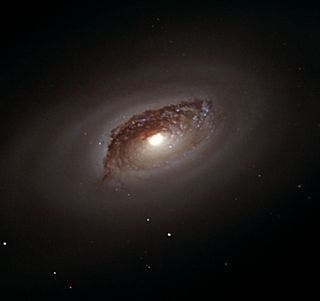 Another important corollary of Poplawski's approach is that it makes it possible for universes to be born inside the event horizons of certain kinds of black hole where torsion prevents the formation of a singularity but allows energy density to build up, which leads to the creation of particles on a massive scale via pair production followed by the expansion of the new universe. "Such an expansion is not visible for observers outside the black hole, for whom the horizon's formation and all subsequent processes occur after infinite time," says Poplawski. For this reason, he emphasizes, the new universe is a separate branch of space time and evolves accordingly. Translated, this means that our universe inherited its arrow of time from its source. "Daughter universes," he says, "may inherit other properties from their mothers," implying that it may be possible to detect these properties, providing an experimental falsifiable proof of his idea.